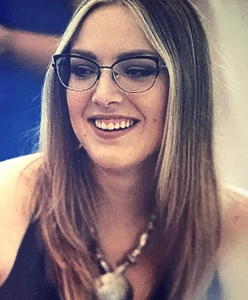 Devin Stein Matta, 25, passed in peace on December 8, 2018, surrounded by her family and close friends. She was born on November 18, 1993 in Pittsburgh, Pennsylvania and survived by her parents of Gary and Rona Matta, her boyfriend, Nate Hall, older sister Langley and her fiancé Tyler Shope, brothers, Austin and Jaquan, grandmothers Roseanna Stein and Florence Matta, and many devoted aunts, uncles, and cousins. While she left this life at 25 years-young, Devin has touched all our lives through her enthusiastic humor, spirited opinions, and warm compassion in all she did and accomplished. Devin leaves this world a better place for having been here. Devin graduated from Elizabeth-Forward High School, Elizabeth, Pennsylvania in 2012 and earned a dual Bachelor of Science degrees in both Marketing and Fashion Merchandise from Indiana University of Pennsylvania in 2016, while being a member of the Alpha Sigma Alpha sorority. Devin was awarded a full academic scholarship to Duquesne University School of Law in 2017 amidst her battle with melanoma and fought to find a cure and increase awareness to this disease, including raising funds and participating in the AIM for a Cure Melanoma Walk. Devin would have wanted us to appreciate life, smile more, laugh more, and don’t get so worked up over things that are truly insignificant, and instead place that energy towards being a more positive person and look for the good in the world. With that in mind, Devin’s life will be celebrated with visitations on Wednesday, December 12, from 2:00 – 8:00 p.m., and Thursday, December 13, from 2:00 – 8:00 p.m. A religious Celebration will be held on Friday, December 14, at 10:30 a.m. with Father Nathanael Polinski as celebrant. all at PITTSBURGH CREMATION AND FUNERAL CARE, 3287 Washington Road, McMurray, Pennsylvania 15317. Please view and sign the family’s online guestbook at www.pittsburghcremation.com. I am deeply sorry for your loss. I did not know her, but her work with finding a cure for Melanoma and bringing awareness is a great thing. I am saddened that she lost that battle. I am extremely fortunate that I had surgery and have had success so far. May God give your family comfort and know that she is always with you still in all things. My deepest sympathy for your loss of the light of your lives. Our deepest sympathies to your family. Devon was a bright light and we all have so much to learn from her. Gary and Family My wife and I offer our condolences to you and your family. Words can not convey the deep sorrow you are experiencing. We offer our prayers to you and your family in this time of sorrow. Gary and family, so sorry for the loss of your daughter. You and your family will be in my thoughts and prayers. Deepest sympathy and continued prayers for your family. Dear Rona and family, you are in our prayers. Our heartfelt sympathy, Phyllis, Amy, Kim and everyone at Dr Earle's office. Gary our prayers are with your family during this time, in heaven all Gods children are happy and joyous and Devin is now with God in peace. I am so sorry for the loss of your beautiful Devin. May you be comforted by Gods promise at John 5:28,29. It gives us real hope and strength to endure these most painful times. Also visit jw.org. You’ll find encouragement and satisfying answers to life’s hard questions and reassurance of seeing your dear loved one again. It was with deep sympathy that I read of the loss of your dear loved one. Loosing someone so full of life is so painful and yet we can turn to comfort from the God of Comfort in 2 C orinthians 1:3,4. He promises in his word there will be a time soon, when we will and our loved ones will no longer deal with the pain of death. Revelation 21:3,4. I am so sorry for your loss. Sorry to hear about your loss of Devin. It is so sad when someone so young is called by God. All we can do is to remember the happy times that were shared together. We wish we had words to lighten your agony but sometimes words are not enough. In one of the stars...she shall be living. In one of them...she shall be laughing. She will always be your little star, watching from heaven above. It will be as if all the stars are watching you and your family when you look at the sky at night. 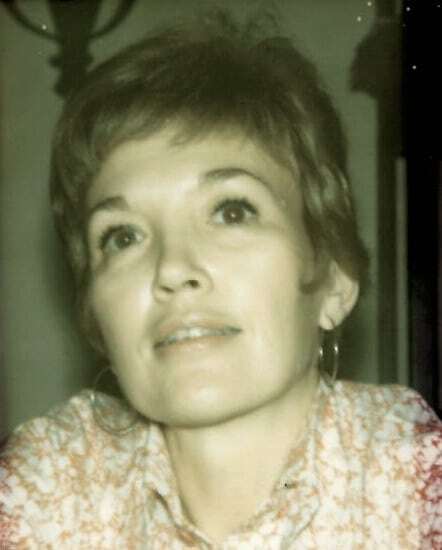 Your loss cannot be repaired with words but remember her memory is everlasting in those that knew her best..... Gentle Savior please look down, there’s someone by your side, their beautiful little angel that needs you as her guide. Words, however gentle, cannot take your loss away, still we hope our prayers and thoughts bring you comfort each and every day. Our deepest condolences and love for you and your family. Gary: My deepest sympathy to you and your wife. We are heartbroken for your loss, there are no words to ease your pain, just know that we are keeping your family in prayer. Dear Gary and Matta Family, Please accept my deepest sympathy for the loss of your beautiful Devin. It is evident that she brought much joy to your lives, and leaves you beautiful memories to cherish. I pray that God grants you comfort, strength, and peace during this difficult time.